Shin has been wowing us all with his incredible patterns for years. 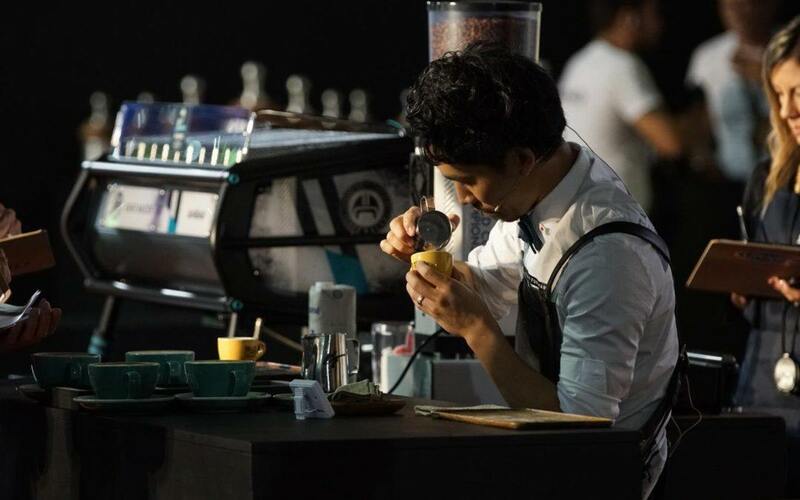 He took out the title of Australian Latte Art Champion in 2018 and subsequently placed fourth at the World Latte Art Championship. What inspired you to join the coffee industry? I was very impressed with how tasty coffee is and how beautiful latte art is in Australia. How did you become involved in ASCA competitions? I joined my first regional latte art competition after only working for six months as a barista, back in 2014. What advice would you give to someone looking to start competing, or to improve their routine? I would like to give the advice “Keep training every day, keep learning every day, and if you fail, try again and again. Don’t give up if you have a goal or dream.” This is what I told myself before winning the 2018 Australian [Latte Art] Championship. How has becoming an ASCA Australian Coffee Champion impacted on your career? My life changed a lot from when I started out on my coffee journey, to winning the 2018 Australian [Latte Art] Championship. I’ve since received many invitations and got an opportunity to travel in the world doing what I love. How has your competition journey changed over the years? I’d love to keep competing, because I can always improve my skills and knowledge. I think that my next challenge will be to join the [Vitasoy Australian] Barista Championship. I will keep going and never stop! !